This is a chic colour combination! 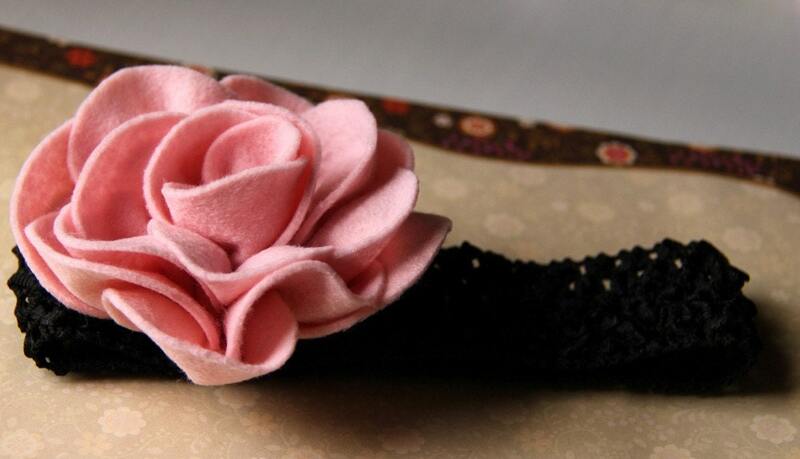 The large felt flower is handmade with a creamy pink felt, set on a black crochet elastic headband. Match is with light coloured outfits and your little girl with look stunning! Suitable for toddlers and above. length of band - about 14" all around, stretchable to 20"
Overseas delivery: Please email me for more details. You may self collect too.